Battle of Amor Powers: Did Jodi Sta. 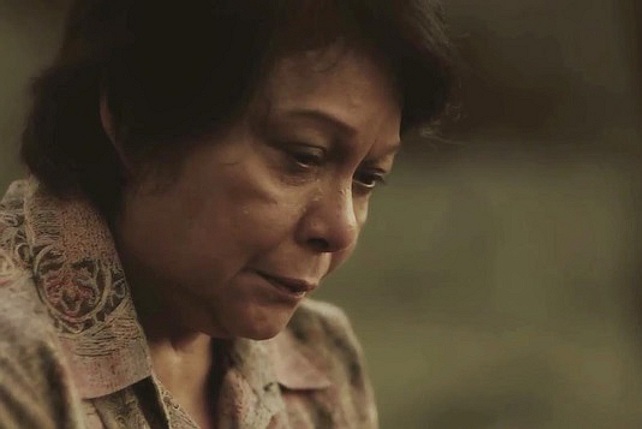 Maria pull off the iconic "Batas" scene? "Matitikman ninyo ang batas ng alipin!" (SPOT.ph) "Matitikman ninyo ang batas ng alipin!" In the original Pangako Sa 'Yo, an anguished Amor (Eula Valdez) vowed to exact revenge after a massive garbage landslide took her family's life. This served as the turning point for her character, kicking off her transformation into the cold-hearted business tycoon, Amor Powers. On Thursday night's episode (June 4), the modern Pangako Sa 'Yo finally tackled the iconic scene with Jodi Sta. Maria portraying the vengeful Amor. There were a few key differences, though. Prior to the tragedy, Amor was working as a caregiver in Hong Kong and had to beg to return home upon hearing the news. She received a phone call telling her that her young daughter, Maria Amor perished in the landslide. Unknown to Amor, her daughter (later played by Kathryn Bernardo) survives the incident and was adopted by a policeman and his wife. The memorable line was also tweaked to fit the modern storyline: "Lahat ng hirap at sakit, ibabalik ko sa inyo. Matitikman ninyo ang batas ng isang api!" What do you think of Jodi's performance? Did she live up to Eula's intensity, or did she make it her own? Share your thoughts in the comments section below!